Dr. Minal Patwardhan started Minal Medical Centre in 1997. Throughout her illustrious career spanning over 21 years, she has contributed significantly to the health and beauty industry in the UAE for which she has been awarded multiple accolades. She obtained her Certification in Dermatology from Lokmanya Tilak Municipal Medical College, Mumbai. She has had training in USA, France and London and she holds the distinction of being first dermatologist to start Laser Hair removal in UAE in 1997. She has presented numerous papers all over the world e.g. U.S.A, India, Australia, Singapore, Seoul etc. and contributed excerpts in books such as “Cosmetic Dermatology Textbook: A practical and evidence based approach” and also in “Cosmetic Dermatology Textbook”. She has conducted workshops in subjects as diverse as skin diseases to lasers in dermatology. 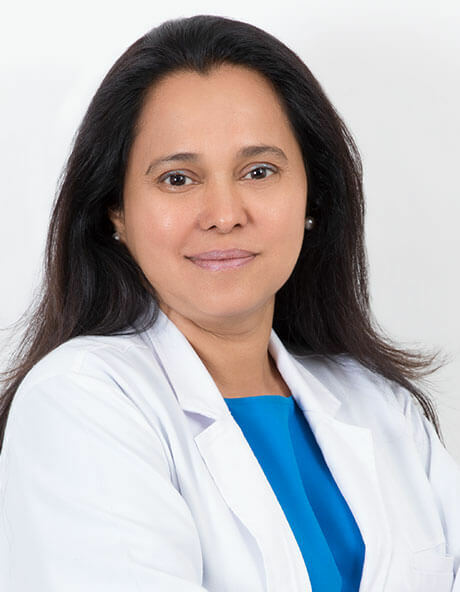 Dr Minal Patwardhan is a member of the American Academy of Dermatology, The European Academy of Dermatology, European society of Cosmetic Dermatology, Indian Association of Dermatology, Leprology & Venereology, Indian Society of Aesthetic and Surgical Dermatology.